Graduated in 1989, B.Sc. Degree has been obtained from Cairo University, Faculty of Urban and Regional Planning. She has been awarded my M.Sc. degree in 1996 from Cairo University, Thesis title " The scientific method to evaluate Master Plans alternatives of the Existing cities". She obtained her Ph.D. in 2002 from Cairo University after spending two years as a Ph.D. joint supervision student in Portland State University, Oregon, USA. 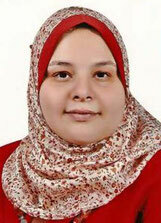 Thesis title" Globalization and Regional Development Strategies in Egypt". Since then she has been involved with national and international agencies in projects related to cities and governorates physical strategic planning and participatory planning. Dr. Ibtehal has more than 20 years of experience as an Expert and a Consultant of regional development and urban planning for (GOPP, UN-Habitat, and OUDA) Projects. The projects scopes were in national strategies and policies, regional development strategies, and more than 20 cities and villages planning. She has a memberships in Professional Societies such as, Egyptian Syndicate of Engineers (1989), Committee of communicative research for Egyptian industry innovation and marketing, Cairo University (2001), Quality assurance & accreditation unit , Faculty of urban and regional planning (2004), The Pioneer of Faculty of Urban and Regional Planning Student Scientific Assembly (2004), Committee of research and scientific strategy activities for Engineering Sector, Cairo University (2011).